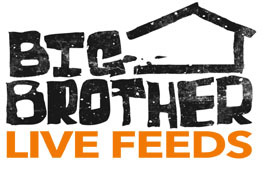 WLBB: Hi Lydia, this is Brian from WeLoveBigBrother.com. Here are some questions we’ve received from our viewers. WLBB: Throughout the past 48 hours, it seemed you, Kevin and Natalie thought the “Big Lie” was working and Russell might have been backdoored. What do you think was the deciding factor that ultimately lead to your eviciton? Lyda Tavera: The talk in the backyard that Russell, Michelle, Jeff and Jordan where they hashed out the dirty laundry together. That pretty much sealed that the last minute lie wouldn’t work. WLBB: If there would have been more time between the Veto competition and the Veto ceremony, do you think you could have talked Jordan into using the Power of Veto? WLBB: What is the first thing you will tell Jessie when you see him in the Jury house? LT: Oh I don’t think I could write what I really want to say. WLBB: Are you looking forward to a week alone with Jessie before the next jury member arrives? this all for the game or did you and Jessie have a thing for each other? And were any of these actions to annoy Natalie? LT: Yes to all of the questions. WLBB: We saw that you and Natalie decided that Jessie was playing you both. Natalie seemed more shocked than you were that Jessie was playing you two. Why were you not as surprised as Natalie? LT: Boys lie. To be expected. Jessie had no reason not to, so I was just being realistic. WLBB: Hypothetically, if Chima was now in the jury house with you and Jessie, how would that alter your jury house experience? LT: The three of us would laugh a lot more and I think that the three of us would definitely have a really fun time together. WLBB: Will Dae Yum Yum be traveling with you to the jury house? WLBB: This season was full of heated arguments and upsets in the game. What is the argument or heated moment that will stick in your mind forever? LT: The first week when Jordan and I had our fight … the veins popping out of Jordan’s neck were priceless. WLBB: Thanks for taking the time to answer our questions, Lydia.